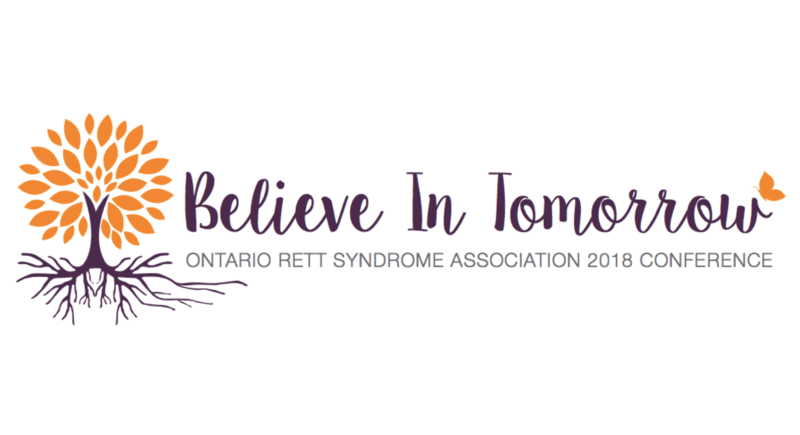 "Believe In Tomorrow" Conference - April 13 - 15, 2018 | Ontario Rett Syndrome Association | O.R.S.A. The “Believe In Tomorrow” conference will take place on April 13 – 15, 2018 in Toronto! Join us for an exceptional 3-day conference designed to empower families and professionals with information, connections and friendships that will support us as we grow and learn more about Rett syndrome! The conference registration fee DOES NOT cover accommodation costs. Everyone must book their own hotel room(s) by March 13, 2018 for conference discounted rate. Friday is Research Day and we’re pleased to have several scientists presenting updates on Rett syndrome investigations. We will also hear about the latest in clinical trials internationally and progress towards clinical trials in Canada. On Saturday, we’ll have a dozen doctors joining us to present and/or be available to answer any medical questions you may have. Saturday and Sunday feature concurrent sessions with workshop choices. Workshop topics include communication and literacy, adult services, legal considerations, person-centred planning, AAC tech tips, self-care and planning for fun! Apart from the regular conference agenda, we’re proud to facilitate a Scientist Meeting and a Clinician Meeting on Saturday. This is a chance for professionals to collaborate and learn more from each other about Rett syndrome. This optional event is designed for families to get to know other families attending the conference from all over Canada. Meet, share and stay connected! Visit the Exhibitor Fair located in the Cabinet Room. Friday April 13th & Saturday April 14th, 2018 ~ 9:00 a.m. – 4:30 p.m. The Ontario Rett Syndrome Association’s Resource Centre will be located at the registration desk. Merchandise and educational materials will be available. The hub of the conference, for any questions concerns or directions. Join us in the Hospitality Suite for mingling and snacks in a relaxed atmosphere. Casual conference wear is highly recommended for comfort while listening to presenters. During the ‘Celebration Dinner’, semi-formal attire would be recommended with a fresh spring flare! O.R.S.A. invites all those we call our friends, our family, our acquaintances, our loved ones to come enjoy a celebration dinner. Let’s celebrate via recognition, awards, sharing our vision, past, present and future. Additional Celebration Dinner tickets are available $50.00 per adult or $25.00 per child (3 –10 yrs.). Extra tickets may be added with your registration. Each child or adult with Rett syndrome will be O.R.S.A.’s special guest and will receive a complimentary celebration dinner. Individuals with Rett syndrome will be required to register for the dinner.